If you're interested in checking the title out, head over to Robot Entertainment's website and download the install file to get things going. Once you've got everything setup, you'll need to create an account with the developer, and then you'll be free to enjoy the title to your heart's content. The game should also be showing up in Steam at some point today. Orcs Must Die! Unchained supports up to five player online co-op. You and your buddies can fight A.I. 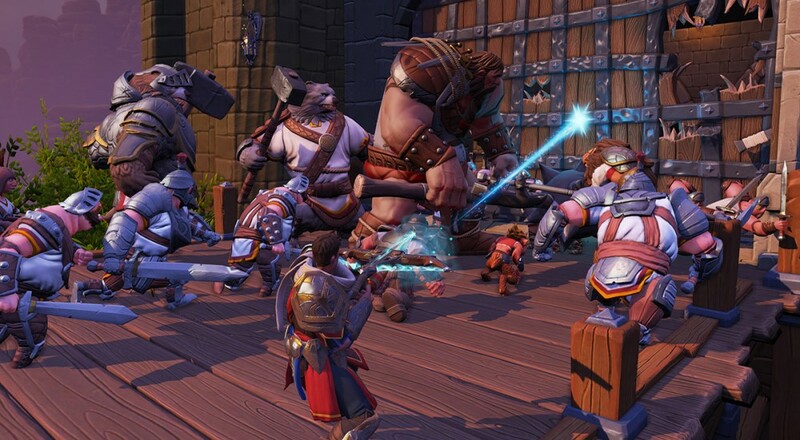 bots in the game's "Siege" Mode, similar to what SMITE and other MOBAs do, or you can try to see how long you can hold out against an unrelenting tide of orcs in "Endless" mode.